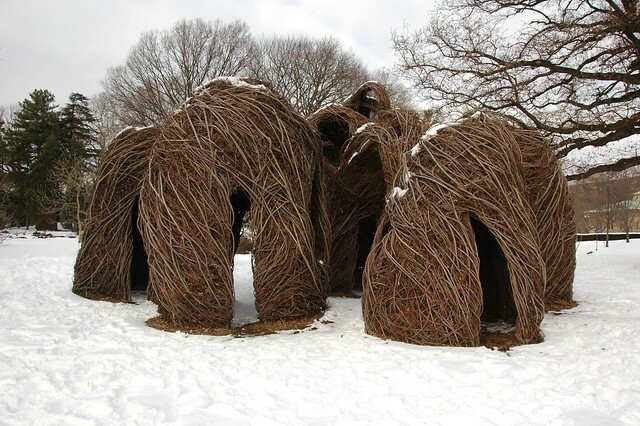 My photo of Patrick Dougherty's "Natural History" blanketed in January's snow opens Brooklyn Botanic Garden's 2012 calendar. Among the Garden’s most passionate visitors are photographers, who capture the beauty each season brings to the Garden’s 52 acres. Their images, taken from unique vantage points, offer perspectives that are at once stunning and unexpected. The 2012 calendar celebrates BBG through their eyes, with a selection of the best visitor-contributed photos from an online competition hosted last year. Today, the winners met for a reception and guided tour of the Garden. After coffee and munchies, following a brief welcome and introduction from BBG's Claire Hansen, we set out on our own guided tour of the "Your Take" trail, a temporary exhibit on the grounds of the Garden, highlighting each of the photos in the calendar, and its photographer, at the location the photo was taken. Here I am posing with my sign. The signs will be up through January. Here's the complete list of all photos in the calendar. January: Chris Kreussling, Patrick Dougherty's "Natural History"
A yose (group-style) bonsai specimen of Acer palmatum, Japanese Maple, developed by Stanley Chinn currently on display at the Brooklyn Botanic Garden. Yose typically group multiple specimens of the same, or closely related species, in the same planting to simplify cultural requirements. 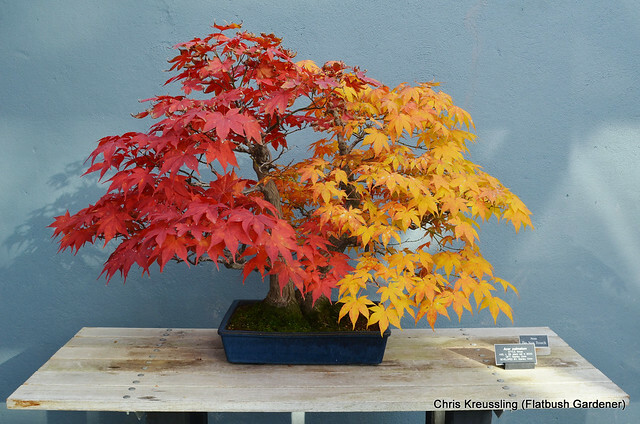 Chinn's masterful touch is the selection of cultivars with different fall foliage colors. This specimen is unusual in that there appear to be only two, rather than the typical three or some other odd number, of the trees in the grouping. 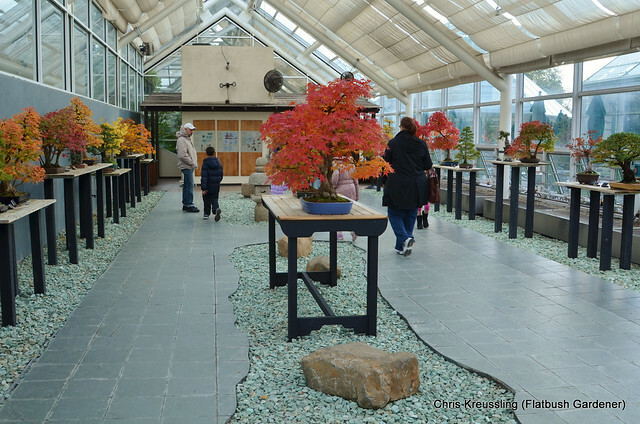 There is no better time of year to visit the Brooklyn Botanic Garden's C. V. Starr Bonsai Museum than right now. Most of the trees on display are in peak fall foliage color. And while the wind has knocked the leaves off many of the trees on the grounds, the sheltered bonsai have been spared those indignities. This season, they've placed an additional display table at the northern end of the greenhouse, opposite the entrance. i-Tree Design (beta) allows anyone to make a simple estimation of the benefits individual trees provide. With inputs of location, species, tree size and condition, users will get an understanding of the benefits that trees provide related to greenhouse gas mitigation, air quality improvements and storm water interception. With the added step of drawing a house or building footprint—and virtually "planting" a tree—trees' effects on building energy use can be evaluated. This tool is intended to be a simple and accessible starting point for understanding individual trees' value to the homeowner and their community. Select the common name of the tree species or genus. Enter the size, indicated by DBH: diameter at breast height (5' off the ground). 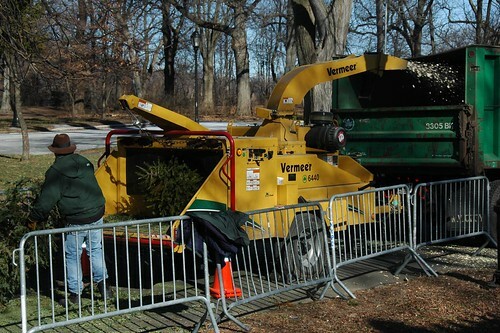 Select the general health or condition of the tree, from "Excellent" to "Dead or Dying." The results are returned quickly. Details are available from the different tabs. The application requires Flash to be supported and enabled in your browser, so it won't work behind many corporate firewalls. One of the great pleasures of gardening is observing the activity the garden invites. I can lay out the welcome mat, and set the table, but the guests decide whether or not the invitation is enticing enough to stop by for a drink, a meal, or to raise a family. While charismatic megafauna such as birds and mammals are entertaining, the most common and endlessly diverse visitors are insects. The Hymenoptera includes bees, wasps, and ants. Although my garden also provides amply for ants, we'll stick with the bees and wasps today. Following are some of the few portaits I've been able to capture of the many visitors to my gardens. 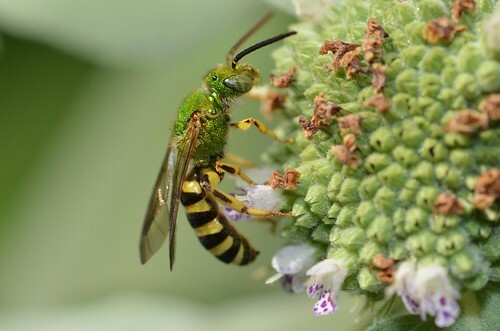 The pollinator magnet, Pycnanthemum, Mountain-mint, in the Lamiaceae, provides the stage for many of these photos. I'm always amazed at the variety and abundance of insect activity it attracts when blooming. There are over 250 species of bees native to New York City alone. I'm still learning to identify just a handful of the dozens of species that frequent my garden. 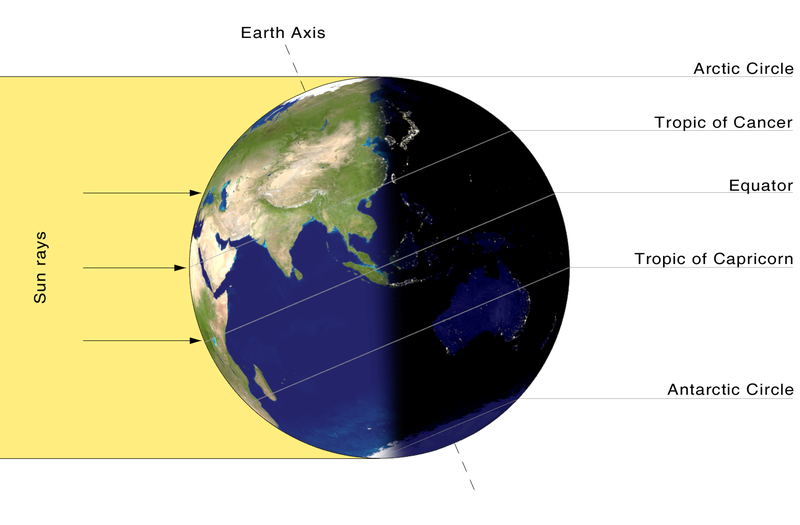 This season's Solstice (Summer in the Northern hemisphere, Winter in the Southern), occurs at 17:16/5:16pm UTC on June 21, 2011. That's 13:16/1:16pm where I am, in the Eastern Time zone, under Daylight Savings Time (UTC-4). As the sun stands still, everything else seems to be in motion. Summer is in sway. The succession of insect emergences quickens its pace even as it near its end. Blooms seem to explode, with something new opening each day. Even so, the day after tomorrow will be shorter, the day after shorter still. The arc of gravity's rainbow is masked by this abundance. So we celebrate it, as we should. Some shots from past solstices in my gardens. Tomorrow, Sunday, June 12, my garden will be opened for its second tour of the season: the Victorian Flatbush House (and Garden!) Tour, to benefit the Flatbush Development Corporation (FDC). Earlier this week, I wrote about the transformation of the garden over the six past years, since we bought our home. Today, I'm providing details about one part of that transformation, one which is easy to replicate on a small scale, even in a tree bed or on a balcony. 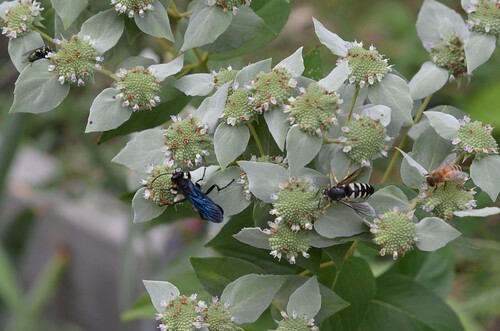 After readying my backyard native plant garden for its debut tour for NYC Wildflower Week in May, I decided to complete the requirements to register my garden as a Certified Wildlife Habitat (#141,173) with the National Wildlife Federation. With over 80 species of native plants, I easily met three of the four requirements: shelter, food, and places to raise young. All I lacked was water, a requirement satisfied by placing some birdbaths and a terra-cotta cistern. On Friday, May 27, I mounted the plaque on the entrance arbor. The morning after I put out this welcome mat, I saw butterflies visiting a vine in the garden. I was puzzled, since the plant wasn't blooming yet. Closer observation revealed that they were laying eggs on the vine. This Spring has been a season of garden anniversaries for me. Six years ago, my partner and I bought our home in Flatbush. In the first month after closing, I began weeding, composting, and envisioning the gardens. Five years ago, I started this blog to document what I was doing and record my explorations. It's also been a season to celebrate the gardens. Last month, for New York City Wildflower Week (NYCWW), I opened my native plant garden for a garden tour for the first time. This Sunday, June 12, the gardens will be opened again, this time for the Victorian Flatbush House Tour, to benefit the Flatbush Development Corporation (FDC). 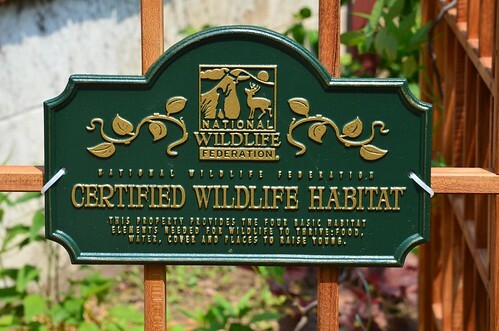 And in May, I registered my garden as a Certified Wildlife Habitat (#141,173) with the National Wildlife Federation. 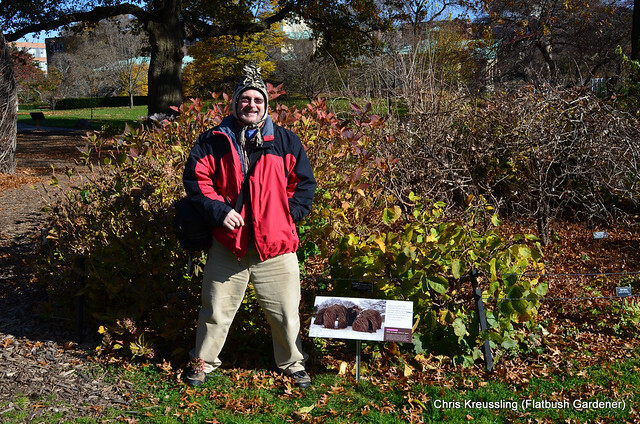 My original vision for the backyard native plant garden is largely realized. I'm close to completing development of the planting beds. The shrubs and perennials have grown and spread; there is little bare ground. Unlike me, the garden looks better than it did six years ago. Take a look, and let me know what you think. Many thanks to all the great Brooklyn photographers and tree-lovers who continue to contribute to the Flickr photo pool I started a few years ago. This was not the first image of the isolated Earth from space. It was the first which contrasted in the same image the wet, blue and green, atmospheric Earth with the barren, dusted, lifeless Moon. 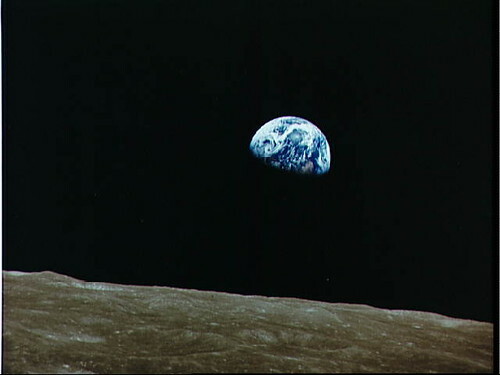 The rising Earth is about five degrees above the lunar horizon in this telephoto view taken from the Apollo 8 spacecraft near 110 degrees east longitude. The horizon, about 570 kilometers (250 statute miles) from the spacecraft, is near the eastern limb of the Moon as viewed from the Earth. On the earth, the sunset terminator crosses Africa. The south pole is in the white area near the left end of the terminator. North and South America are under the clouds. The lunar surface probably has less pronounced color than indicated by this print. Update 2011-04-16: As nasty as the weather is as I update this on Saturday night, it will be beautiful tomorrow for the tour, windy, but temperatures reaching into the upper 50s and low 60s. Added a Google Map of the tour below. 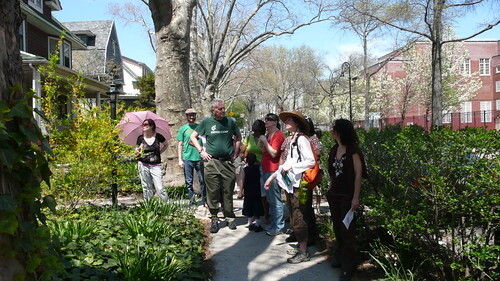 The 4th Annual Sustainable Flatbush Street Tree Walking Tour will be Sunday, April 17, the day after the Plant Swap. (It's a busy weekend for us!) We're following the same route as past tours, so if you've only been able to enjoy our fall foliage in the past, come enjoy the spring blooms! As we approach the Second Annual Great Flatbush Plant Swap, I'm hoping to post some tips on how to divide perennials to bring to the event. Now is the time to do it, as foliage has just emerged, plants are actively growing, and most will recover quickly from any perceived insult of being lifted out of the ground and ripped into pieces. I have to do with this with perennials in my gardens, so I'll use them as examples. Today I divided one of my larger grasses. Do you have extra seed-starts? Leftovers from dividing perennials? No place for that shrub you just dug out? 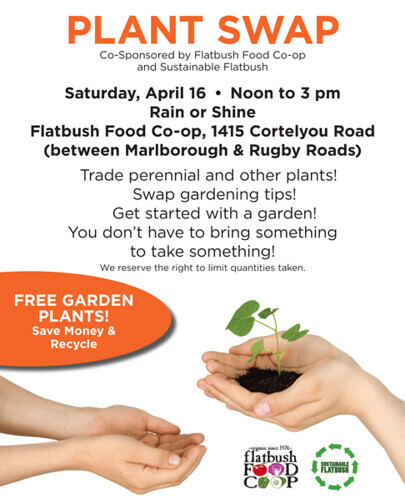 Bring them to the Second Annual Great Flatbush Plant Swap on Saturday, April 16. No plants? No problem: everyone can bring home a plant, even if you have none of your own to swap. And it's a great way to meet other local gardeners, whether you're a beginner or a pro. 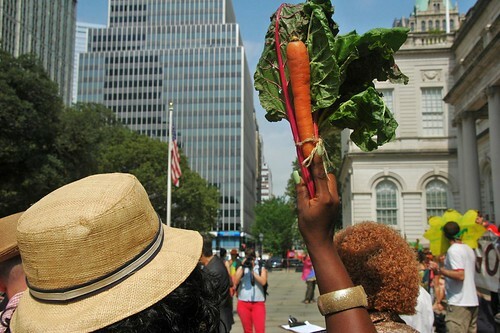 Sponsored by Sustainable Flatbush and the Flatbush Food Coop, the First Annual was, coincidentally, just last year. 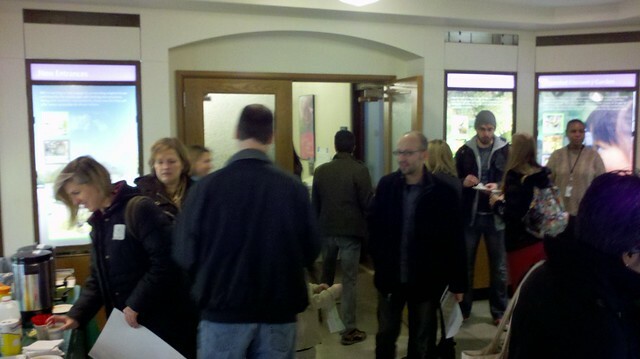 It was a great success, especially for an inaugural event: we distributed over 330 plants. Let's see if we can distribute even more this year! My garden will be on tour for NYC Wildflower Week! 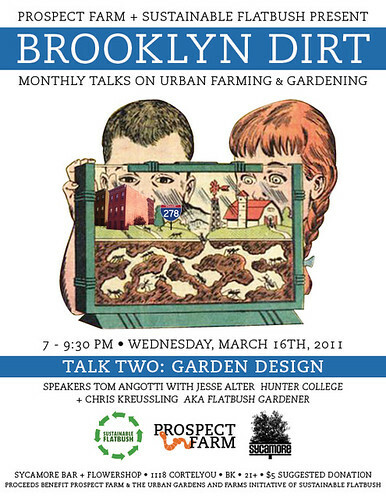 I am honored and excited to be one of the inaugural speakers for a new event series: Brooklyn Dirt - Monthly Talks on Urban Garden and Farming. The topic of this first event is, appropriately, Dirt, aka Soil. 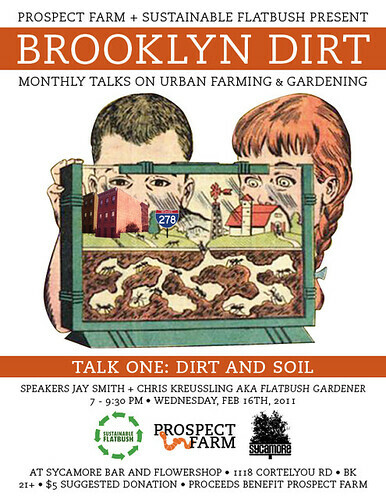 If you have questions about soil, or dirt, let me know and Jay and I will try to cover the topic in our talk. Update 2011-02-02: Flatbush Fluffy didn't see his shadow this morning. He did see his reflection in the sheet of ice that covers everything. Not sure what that means. The snow in the backyard - undisturbed by shoveling, snowblowers, drifts, and pedestrian traffic, save for a few small, furry quadrupeds - is above my knees, about two feet. As I write this on the eve of the last day of January 2011, there is yet another Winter Storm Watch in effect, the billionth this Winter. For the first day of February, the National Weather Service predicts snow, snow and sleet, freezing rain, sleet and snow, ice, freezing rain, snow and sleet, snow, then freezing rain, in that order. That's just Tuesday. It continues into Wednesday, Groundhog Day, with much the same result. 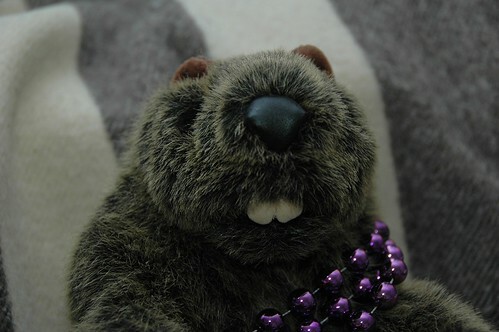 The sole consolation is that come Imbolc morn, Flatbush Fluffy, the resident Marmota monax, will not see his shadow. Dare we dream of Spring? The groundhog, Marmota monax, also known as a woodchuck, groundhog, or whistlepig, is the largest species of marmot in the world.